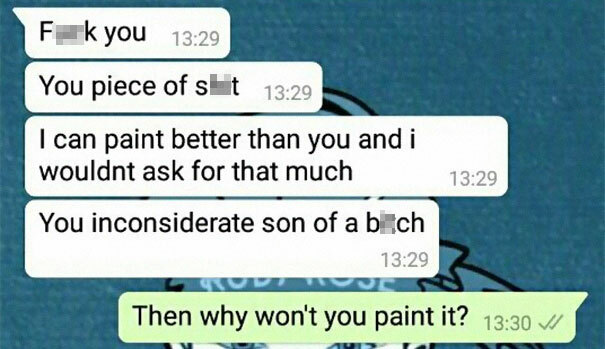 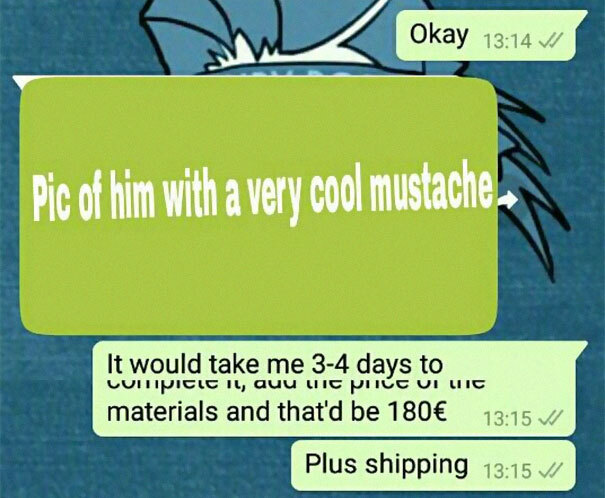 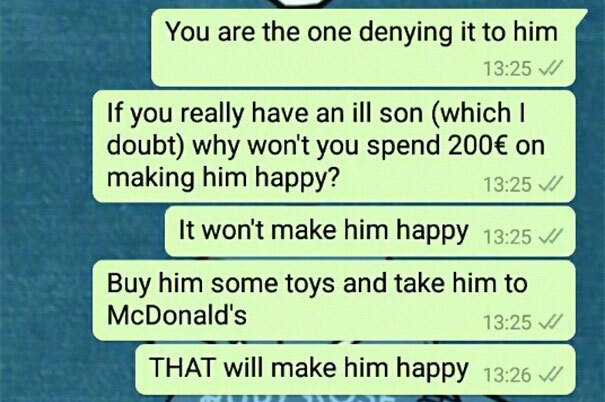 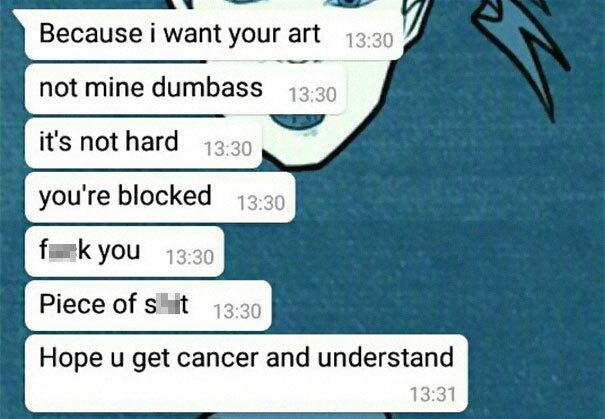 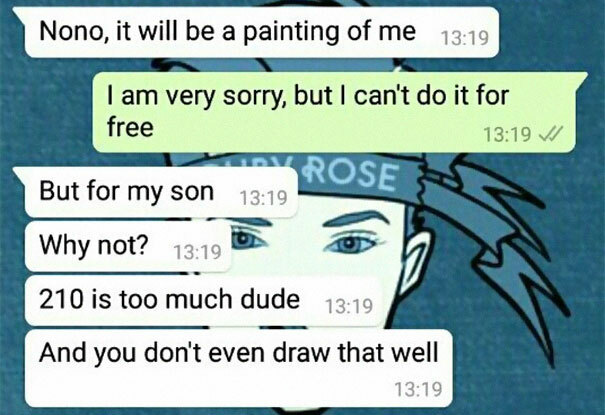 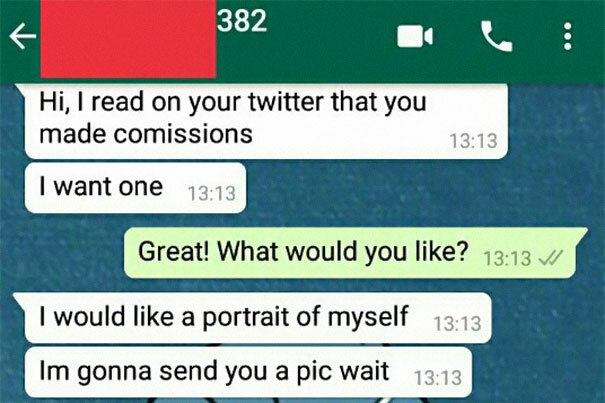 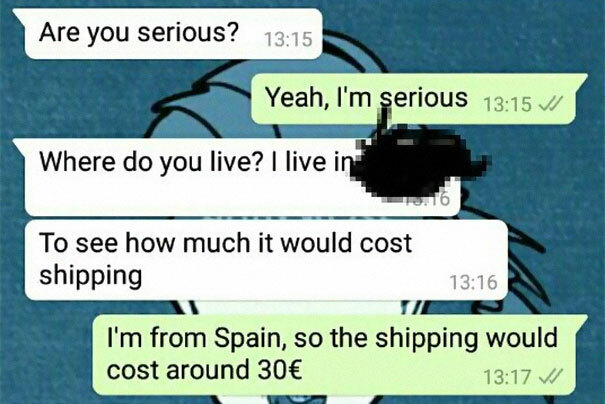 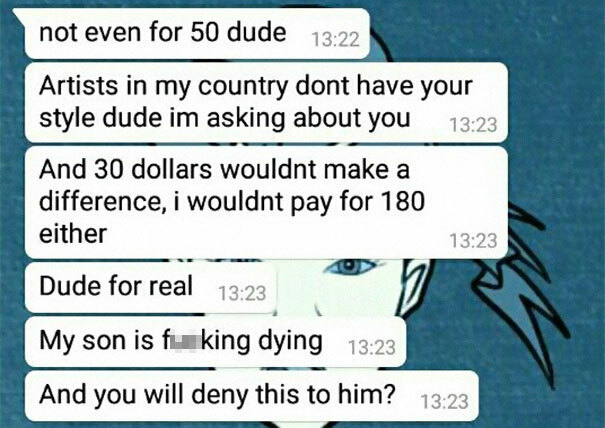 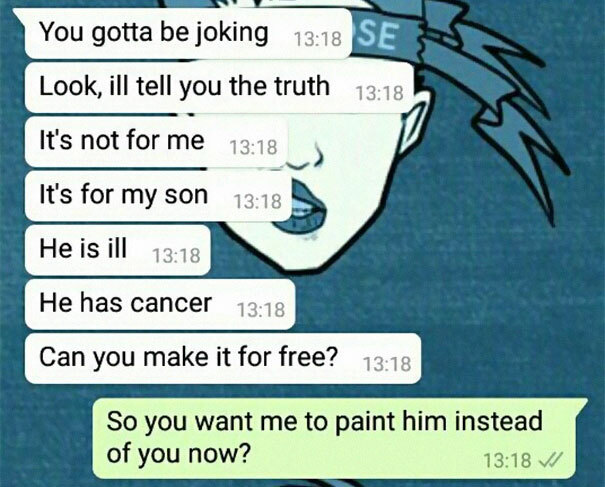 An anonymous Spanish ‘artist’ recently uploaded a conversation he apparently had with a fan who asked for a commission. 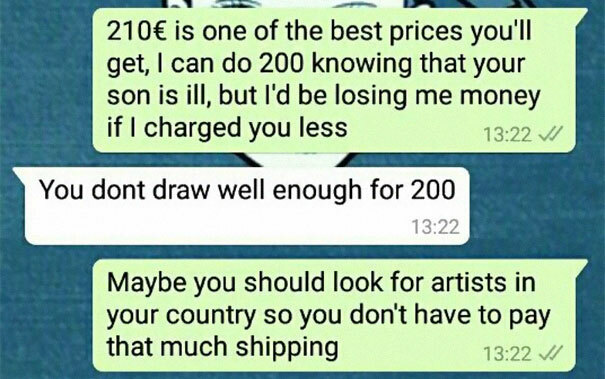 We all know that artists dedicate an awful lot of time and hard work to their craft, and very often don’t get the compensation they deserve. 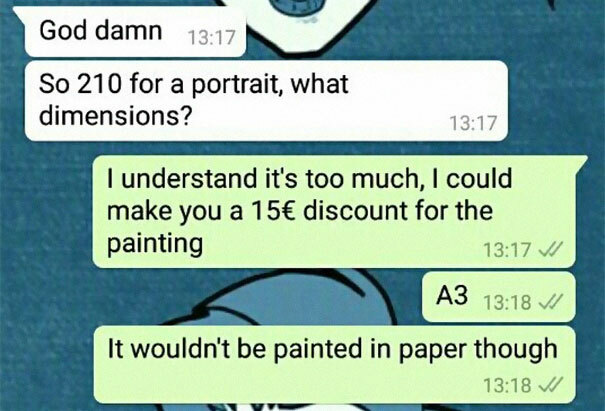 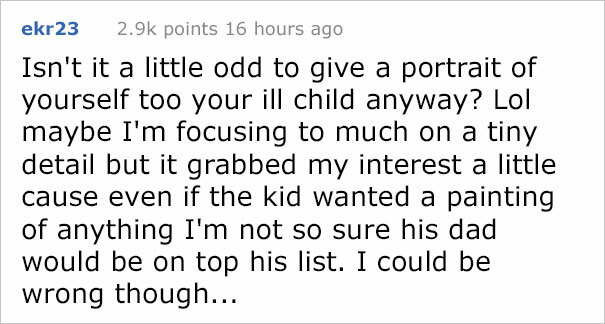 This artist had clearly had enough, and after claiming that this particular portrait would take 3-4 days to complete, refused to budge on his asking price. 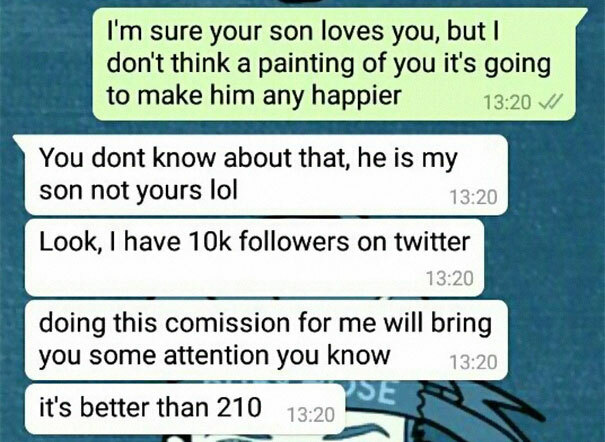 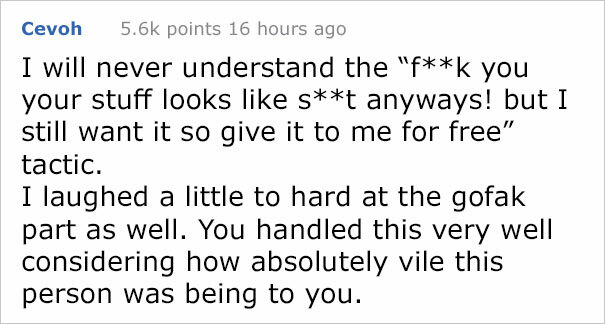 That didn’t deter this plucky fan however, and what was to follow was a barely believable exchange that quickly descended into farce, with the fan using increasingly desperate tactics to try score himself some free art. 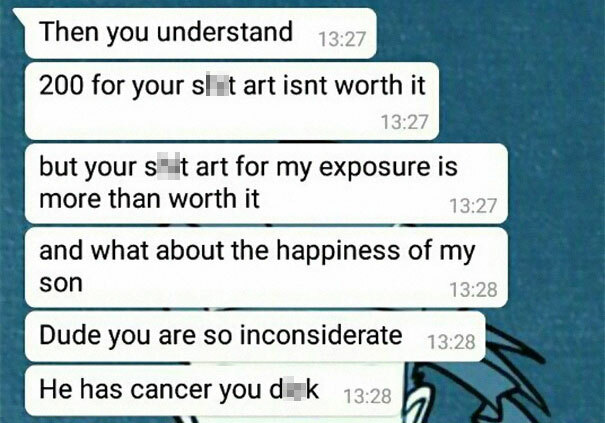 Scroll down to check out the shockingly distasteful conversation for yourself, and let us know what you think in the comments!